In 2010 the World Wildlife Fund for Nature UK (WWF-UK) and the Angling Trust launched a legal challenge of the English government’s River Basin Management Plans which had been submitted to the EU in December 2009 to comply with the Water Framework Directive (WFD). Their concern was that the plans did not set high enough targets or clear timescales for achieving England’s WFD commitments to achieving good ecological status for all rivers and coastal waters by 2015. At the time only 27% of rivers in England and Wales were at ‘good’ status and the government’s plans were projected to result in only a 5% improvement by 2015. 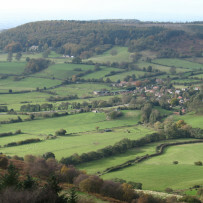 The decision to resort to legal action by applying for a judicial review of the government’s plans was taken after a number of meetings with Defra and the Environment Agency to try and resolve their concerns. In the end the matter was settled before reaching court with the publication in March 2011 of Defra’s Statement of Position. This document outlined a set of principles for moving forward published as River Basin Planning Guidance. The future direction of Water Framework Directive implementation and Defra’s commitments to this process were outlined with a programme detailing the time frame for achievement of the new process. 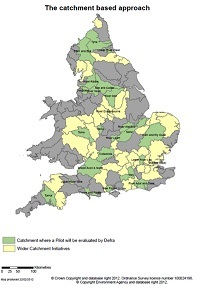 The Statement of Position introduced support for a collaborative catchment based approach and announced a pilot phase to test out how the approach would work in 25 catchments. The UK case study (UK Case dilemma description) builds upon research carried out on river basin governance and WFD implementation at the Open University in the period since 2003 and will explore Defra’s reframing of river basin planning following the legal challenge and how this will shape the national strategy and catchment based practice for the second round of river basin planning from 2014. The case study will begin by exploring the history of water governance in the England, provide an assessment of the issue at the present moment and undertake action inquiry with key practitioners involved in the implementation of the second phase of the WFD to explore how the past ways of framing water managing influence what is considered possible now and for the future and how current governance framings and processes might be influenced through direct engagement with England’s WFD consultation process and with The Nexus Dialogue on water Infrastructure Solutions with the aim of finding ways to introduce systemic thinking.